I'm a huge blush fiend, and it seems as though I can never have too many shades in my collection. I've recently started trying out IT Cosmetics' Airbrush Blush Stain in Sweet Cheeks* ($24), and it's the first loose powder blush that I've ever used! 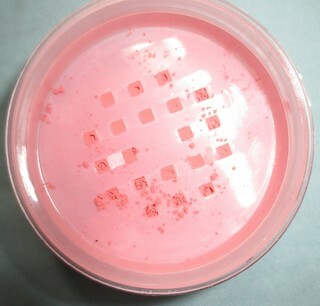 I've always been intrigued by loose blushes, but at the same time I was a bit scared of them. 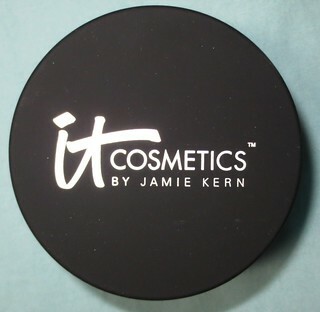 However, after trying out this formula from IT Cosmetics, I'm hooked! "Airbrush Blush Stain in Sweet Cheeks is the latest unique addition to the IT Cosmetics poreless line! This hydrating, brightening, anti-aging blush was developed with leading plastic surgeons to create a naturally pretty flush of long-lasting color. Like its bronzer and finishing powder equivalents, this silk-infused powder stain blurs away the look of pores, without settling into fine lines and wrinkles while giving you a beautiful, lit-from within glow." 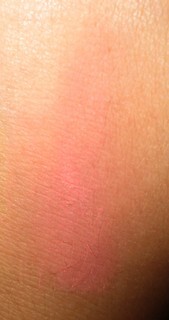 I absolutely love this blush because it has just the right amount of pigmentation. 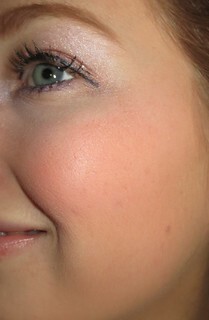 You can easily apply this blush with a light hand for a more natural look, or you can build it up to be more intense. I've been using IT Cosmetics' French Boutique Blush Brush* ($34.50) with this loose powder blush, and the duo is amazing! This brush is quite fluffy, which I find allows for a more flawless, lighter finish compared to a traditional dense blush brush. This blush does come with a white puff applicator (shown above), but I personally think that this gives too heavy of an application. This blush doesn't settle into my pores, and it appears as if it has melted into my skin for a flawless look. This blush lasts for the better part of the day on my cheeks, and starts to fade around the 7 hour mark. I can live with that! Sweet Cheeks is a beautiful light baby pink shade with coral undertones. This shade is matte, so you won't see any shimmer here! I do like adding a dash of my NARS Albatross highlighter on my cheekbones though. I think that Sweet Cheeks is a perfect year-round shade, and it adds a really lovely flush of colour to my skin. I've never tried a loose powder blush, but now you've got me intrigued! I have never tried loose blush powder and love how this looks on you. So natural but the pigmentation is there. Awesome review. 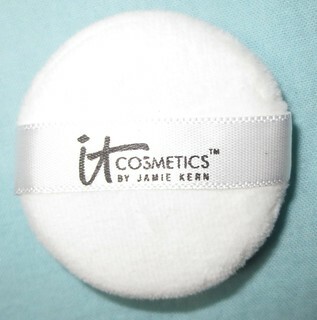 I am recently hooked to It Cosmetics Bye Bye Under Eye concealer and very impressed with their product. Will have to give this a try some time. i have never gone for anything in a loose formula just cause i'm such a clutz and it will bound to get spilled everywhere. i'm also a bit scared i'll use way to much but this color looks lovely on you! That's such a gorgeous color on you! I really can't wait to try this blush! All of the ones I have tried (or most) tend to settle into my large pores baldy. Such a gorgeous color too! Great review! You'll really like it! It doesn't settle into my pores at all! What a gorgeous finish! Never heard of this brand before.